The world’s best guitar teacher guides you through your first chords and songs! Justin’s Beginner Course is THE app to get you started, whether you're just picking up the guitar for the first time or have been playing for a while but want to make sure there's no left holes in your skills. Justin will guide you through your first songs with this interactive step-by-step course that will teach you chords, strumming, capo, fingerpicking, and how to play hundreds of awesome songs. Follow Justin´s learning path with instructional videos, innovative exercises and an amazing collection of play-along style songs that you will be able to play in no time! Justin’s Beginners Course teaching method is the most effective, enjoyable and logically structured method available anywhere. 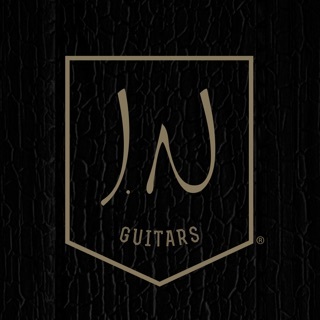 Over one million people have learned how to play guitar using his free web-based course at JustinGuitar.com, and now you can follow his lessons in an interactive format! - Song collection of over 300 hit songs — and more songs released every week! The Beginners Course Song Collection is hand-picked by Justin and supports your learning curve while keeping you engaged and progressing through the course. By the end of the course, you will be able to play hundreds of awesome tunes. The songs are displayed in a play-along style with backing tracks and lyrics; and you can adjust the tempo and the sounds according to your own taste. DID YOU LIKE THE JUSTIN GUITAR BEGINNERS SONG COURSE? Feel free to send us opinions or song requests. We will be thrilled to hear what you think about the app! Justin Guitar Beginner Song Cours offers several FULL ACCESS subscription packages that unlock unlimited access to the entire song selection of Playground and all the stages of the Learning Path. New weekly song releases are also included in the subscription. Always wanted to play guitar and finally at a place in life where I have the time to dedicate to it and the means to buy the guitar I always wanted growing up, a Gibson Les Paul! After searching through TONS of online videos and apps I downloaded and started using Justin’s app. Although there are many online videos with good teachers breaking things down, Justin takes it so much further. He really makes learning guitar very simple, straight forward, and easy to understand. Then the lesson plans which follow give you the exercises necessary to perfect what you’ve just learned. But the best part is all the songs he pairs with each stage allowing you to use what you’ve just learned and play the songs you love. Due to how well the app is designed, the pace I’ve been able to learn the guitar due to how well Justin teaches, and the catalogue of songs included in the app to play along with, I spend an average of 2-3 hours a day learning, practicing and playing songs. Although there is a lot of good content online, nothing comes close to teaching guitar as well as Justin. Can’t thank him enough. It’s a tremendous feeling to be able to sit down and play songs you love for hours. 6 months looking for the right solution, this one was finally it for me! I tried lessons at the music store first. My teacher was a washed out old rocker that was just "punching the clock" he was way too disorganized, and he was just a terrible teacher. Next, I tried a more expensive private teacher. He had passion and talent to spare, but he moved way too fast, and again was too unorganized for me. Third, I tried another on-line learning option, it was very expensive, the lessons were just okay, and once more it seemed to move too fast. Finally, my journey came to a successful end with Justin. This app turned out to be the absolute perfect solution for me. It's extremely well thought out and organized, and progresses at the perfect speed. The quality of the instruction in this app is better than what I received paying hundreds of dollars a month to local private teachers. Try this app! A+++ rating all the way, I don't know of a single thing I'd change to improve it! Overall, the Justin method is a great way to learn guitar and Justin is a gifted teacher. This app really helps get you going on a logical progression for beginners. I have used it for stages 1-5 so far and am very pleased. Playing along with the songs and tracking for your chord change speeds is really great. However, I only gave four stars because there are a few inconsistencies, ie the video on blues shuffle refers to the triplets video that is not on the app (but is on the website) and there is an exercise for ‘old faithful’ but no intro lesson video for it. When I encountered these inconsistencies, I went over to the website and realized I’d been missing a whole lot more content such as the ear training and all the written commentary and practice schedules. Truly, the free website is the best place to drive your progression, not the paid app. What the app provides though, which is totally worth the money, are the songs you can slow down and play along with. So get this app and use it just for those functions!